View More In Fashion Scarves. 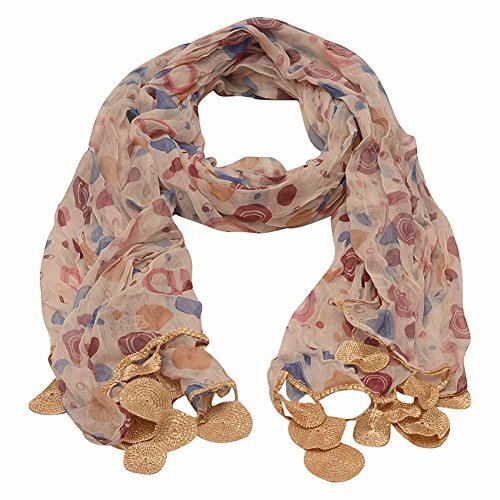 Round crochet gold leafy accents make this scarf so fashionable. This pretty accessory features dotted pattern in shades of golf and blue and can be worn in various ways as you prefer. It will provide a nice bohemian style. If you have any questions about this product by Sophia's, contact us by completing and submitting the form below. If you are looking for a specif part number, please include it with your message.